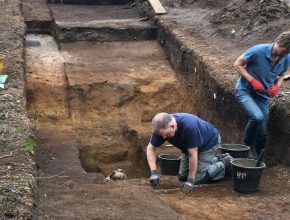 A community project hosted by the Petersfield Museum to understand and conserve Petersfield’s prehistoric barrows. 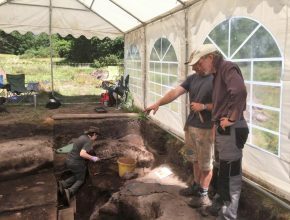 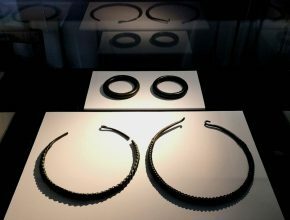 This four-year project is focussed on a remarkable but little-known prehistoric monument complex on the edge of Petersfield Town dating to the Early Bronze Age, between 2200 and 1500 BC. 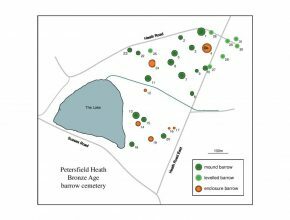 Although designated as Scheduled Ancient Monuments, the large group of barrows (burial and ritual monuments) spread across Petersfield Heath has seen no active research since it was mapped in the 1930s and there is no record at all of any past excavations. 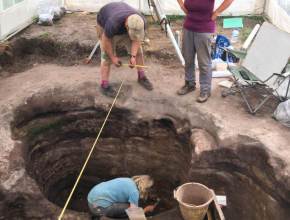 Yet it is one of the most impressive and diverse barrow cemeteries to have survived in south-east England, boasting at least 21 monuments representing five or six different types. 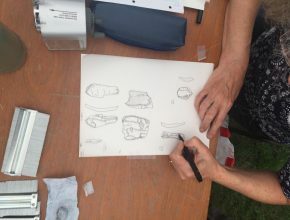 Research goals, the legacy the project intends to create and how you can get involved.